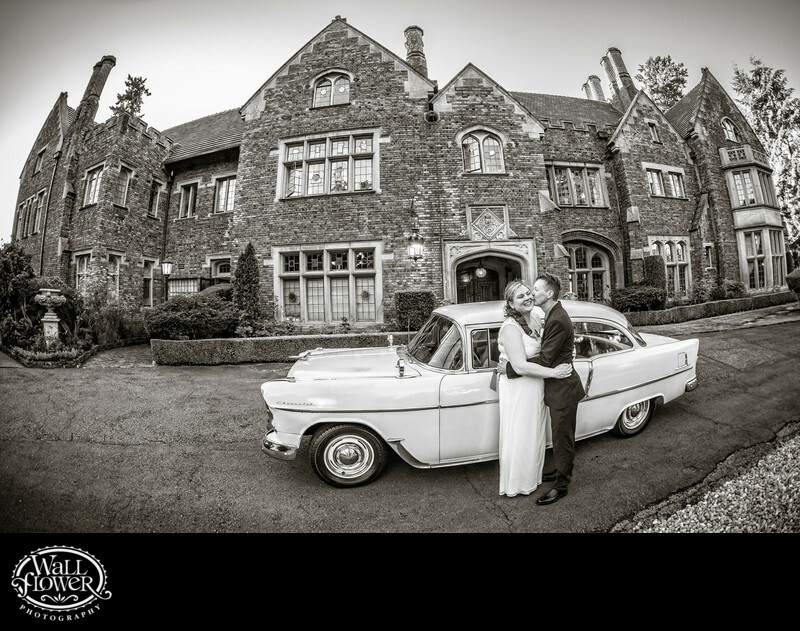 The main entrance to Thornewood Castle has never looked cooler than the wedding when this 1955 Chevy was parked in front! The classic car, a treasured possession of family members, was involved in various ways during a quick evening photo shoot during a lull in their wedding reception inside. I sure do love the huge angle of view that I get with my fisheye lens that allowed me to capture Thornewood in its massive entirety.